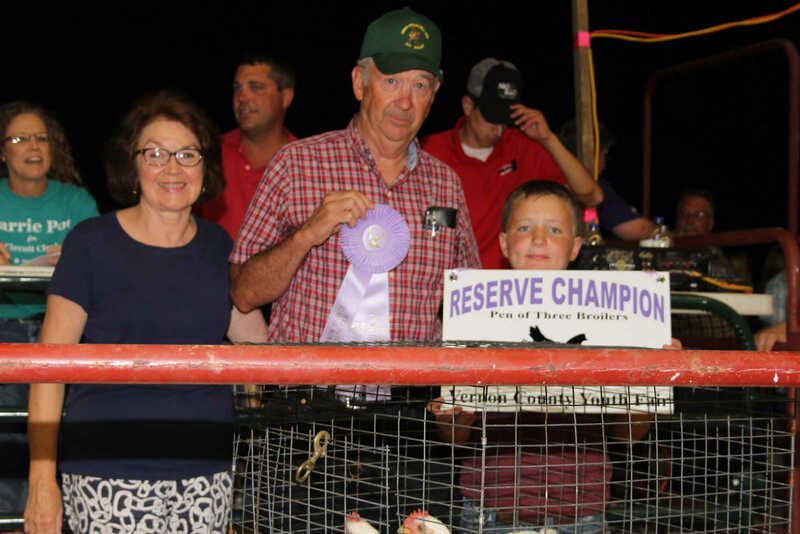 Vicki and Norman Garton (pictured) with George and Crystal Garton of Garton Ranch purchase the Reserve Grand Champion Market Broilers pen of three from Koby Chaddat the Vernon County Youth Fair Livestock Auction on July 12. 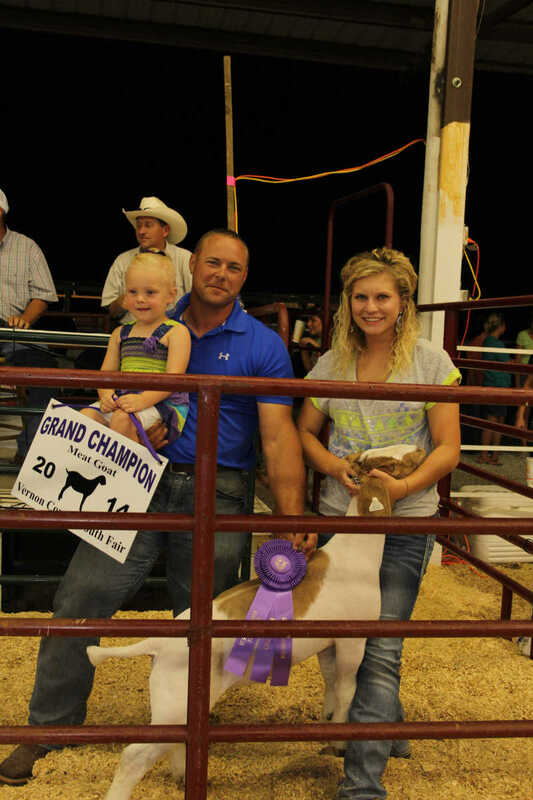 Ryan Linn (middle) purchased the Grand Champion Market Meat Wether Goat from Kaylee Farmer (right)at the Vernon County Youth Fair Livestock Auction on July 12. 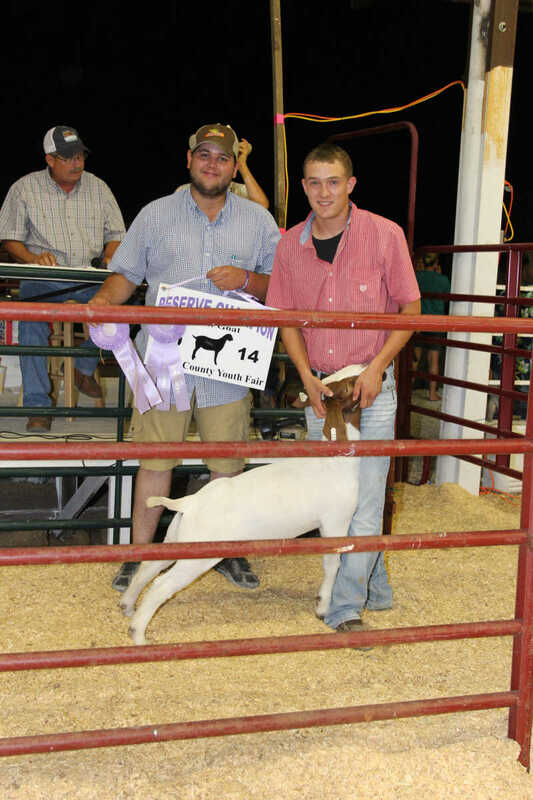 Devin Dilly from Midwest Fertilizer buys the Reserve Grand Champion Market Meat Wether Goat from Ben WalkerBob and Raona Walrodbuy the Grand Champion Dairy Steer at the Vernon County auction from Logan Conner at the Vernon County Youth Fair Livestock Auction on July 12. 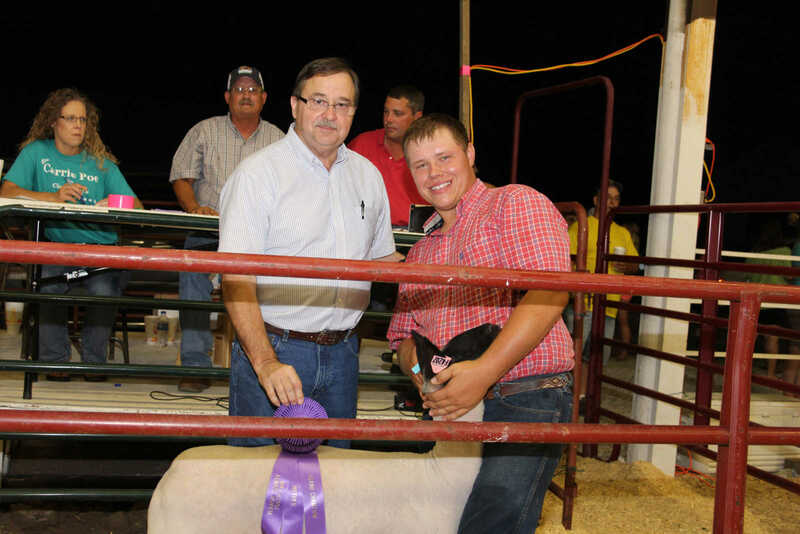 Kent Thompson of Thompson-Moore Insurance Agency purchases the Grand Champion Market Wether Lambs from Chance Wait at the Vernon County Youth Fair Livestock Auction on July 12. 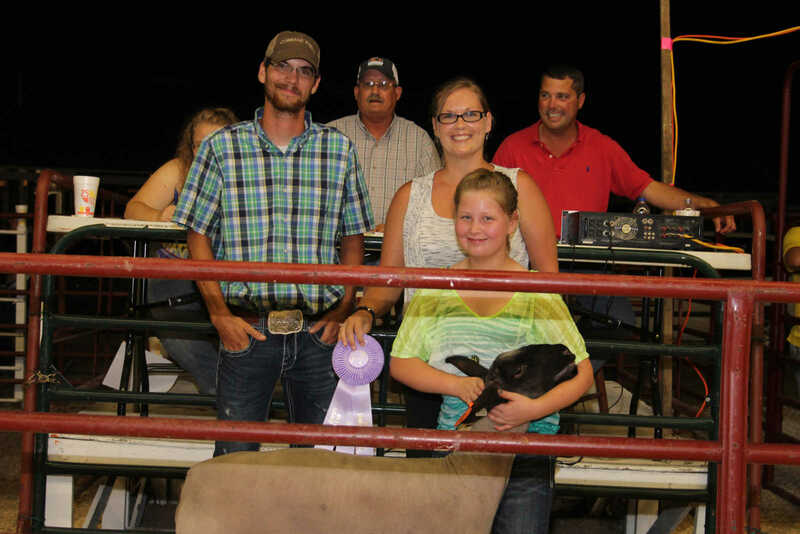 Tanner Duncan and Davola Garrett buy the Reserve Grand Champion Market Wether Lamb sold by Laurin Dilly at the Vernon County Youth Fair Livestock Auction on July 12.